After celebrating the 30th anniversary of the Encuentros Abiertos-Festival de La Luz, The Luz Austral Foundation announces that this has been its last edition. 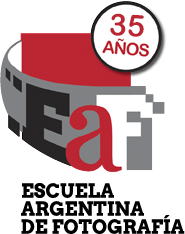 Having fulfilled the mission proposed in 1989, the FLA will continue to work with the purpose of disseminating the work of emerging photographers, as well as bringing the work of established artists closer to the Argentine public, cooperating in professional training and striving for a better understanding of visual culture. These activities will be developed throughout the year. The next scheduled activity is the National Portfolio Forum 2019. We thank those who have supported us during all these years and continue to welcome those with innovative proposals.